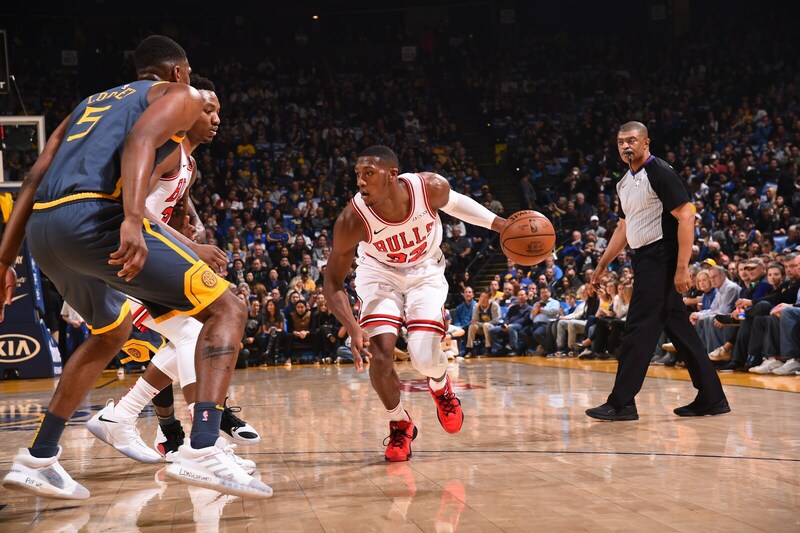 Kris Dunn stunk in the Bulls 107-100 loss to the Los Angeles Lakers Tuesday. Who says? Well, Kris Dunn says. "Just some games you ain’t got energy and that’s on me," Dunn was saying before Thursday’s trip closer against the Denver Nuggets. "Days where I feel I ain’t got it, I still got to bring it. That’s what being a professional is all about. I told the team that’s on me. For me to be a point guard for this team and to be a leader for this team, I’ve got to make sure I bring that each and every day. "I told them when we watched film the next morning," Dunn admitted. "This year they know what I bring to the table," he added. "I bring that energy. I bring the defense. And I felt like they knew I didn’t have it. As a leader for the team, I’ve got to let them know that one’s on me. I didn’t bring the best of my abilities and as a professional you can’t do that. You have to bring it each and every game and that’s what I am learning." Whether it is a learning moment, perhaps an epiphany or providential for the 6-4 guard from Providence remains to be determined. He is insistent it comes against the Nuggets Thursday. "I think everyone when they think they are not bringing the best they can each and every game, there are guys who speak up about it," Dunn said. "I think that’s a good thing, to recognize you are not playing to the best of your ability and let the team know you do care. I think that was my message to the team, show them I do care and today I am going to bring that energy." It’s yet another chapter in the Education of Kris Dunn. Does he get the point? 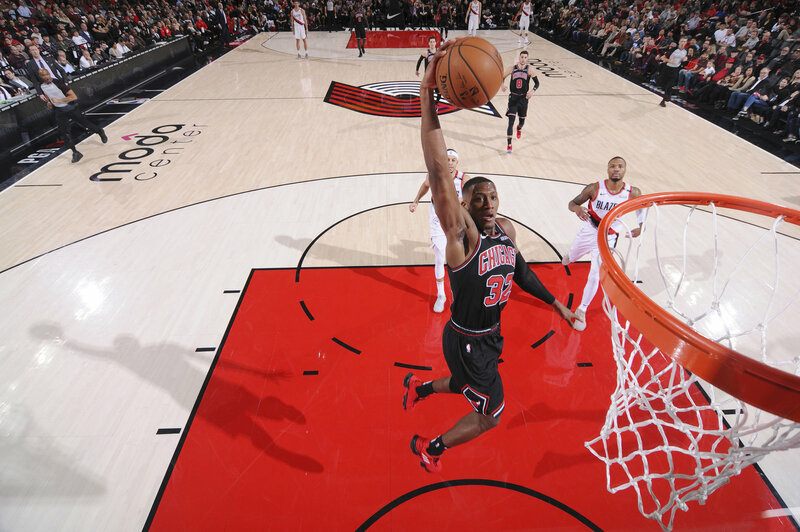 Dunn is the Bulls current design for point guard, which is becoming perhaps the most important position in today’s NBA. He suffered a knee injury to start the season, but then in December averaged a credible 13.9 points in his return. But this month, Dunn is averaging 11.9 points. He is shooting better from three-point range, though attempting fewer than two per game. And then in the loss to the Lakers had perhaps his poorest game in his return with six points, four assists ad five turnovers with a minus-25 plus/minus rating in a game the Bulls lost by just seven points. So Dunn the next day at practice took it upon himself without any recriminations, otherwise, to apologize to the team for his performance and promise to do better. "No one asked," Dunn said. 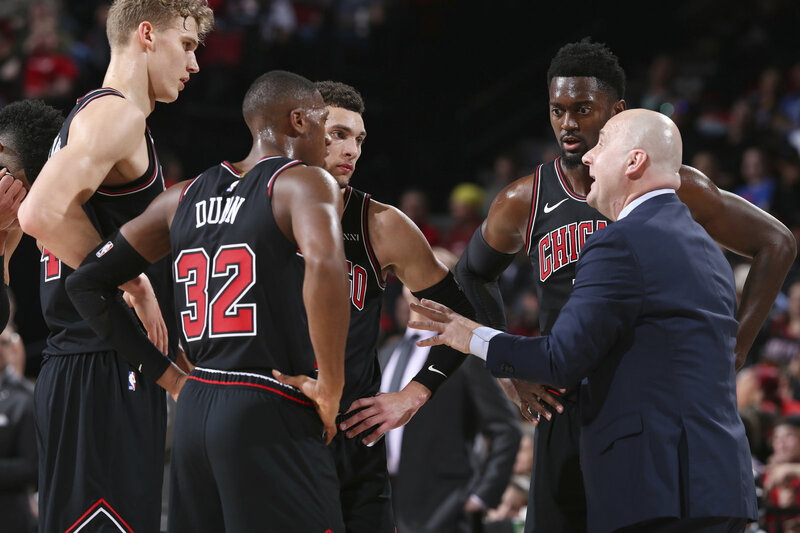 But Bulls coach Jim Boylen is expecting more. "I’m expecting to see a response," Boylen said after Thursday morning practice in Denver. "He has to respond. He knows he has to play better. He understands that. We cannot turn the ball over in this building. We had 14 turnovers at home for 21 points [against Denver]. They convert turnovers for layups, for touchdowns. That’s No. 1. He’s responsible to get us into something. And we can’t turn the ball over. He has to play with a motor. And his motor has to be better than it was the other night." It’s a challenge, but also not more than Dunn says he asks of himself in his quest to assume the point guard role for the Bulls. "It’s more than just the turnovers," Dunn said. "People dwell on the turnovers. I think I’ve been doing better this year. I definitely have them down. It’s more about who I am as a player. I play aggressive. I feel like I wasn’t aggressive enough. On the defensive end I wouldn’t say I was lazy, but at the same time I wasn’t aggressive enough. I’m an energy guy. That’s what I have to bring for this team, energy on both sides of the floor. I feel like I didn’t have that in that game and that’s on me"
"I been playing solid," Dunn said about his overall return. "Every game is not going to be perfect. I know that and I feel like there are going to be some bad games. But it is how you respond." Following Dunn’s poorest game of this season with five points against Orlando, he scored 24 in the win in San Antonio. "So far I have been doing well with that," said Dunn, "and tonight I am going to bring the energy." Kris Dunn - Starting Point Guard, Finishing Point Guard, Or Both?